There’s never a bad time to get started on your orthodontic treatment, but there are some times that are a little better and more convenient than others. The fall, for example, is an excellent time for a hardworking mom to get started on her personal journey toward perfectly aligned teeth. Kids are a lot of work, but you love them! They do take up more of your time though, and a little bit of free time is important if you’re going to begin orthodontic treatment. In the fall, most schools are starting back up again, so you might have more time to take for yourself, which means you can go to your orthodontic appointments. Having your kids in school during the day will allow you to attend your appointments and have more time to focus on adjusting your lifestyle to your treatment. 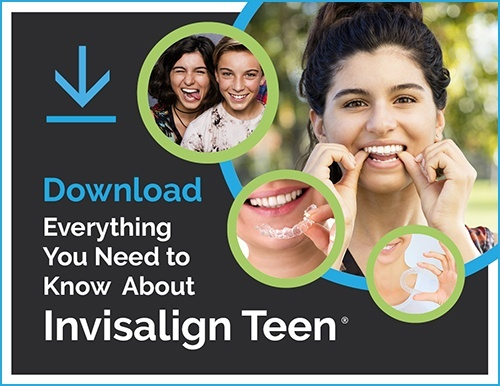 Life with braces or Invisalign isn’t difficult, there are just a few things that you must adjust to like brushing and flossing more frequently. In addition to the benefit of your kiddos being in school, if you start your treatment in the fall, you will have more time to adjust to your new lifestyle before the holidays. The fall season is filled with different holidays, all with their own food and treats. Some foods must be avoided with braces, and some will simply be a bit more difficult to eat. Getting started earlier with treatment gives you more time to get your new maintenance habits and routines down before the chaotic holiday season hits. Speaking of holidays, Halloween is a holiday heavily associated with lots and lots of candy. You cannot eat a relatively wide variety of candies while you have braces (Invisalign does not require the same rules). Since candy is an unhealthy treat, having a solid reason to avoid eating it is always good. In addition to it being bad for your braces because it can get stuck or even break them, candy is bad for your teeth in general. The sugar can get stuck in between your teeth and cause cavities and other dental issues. The less sugary candy you eat, the less likely you are to get cavities. It’s a win-win! So, if you want braces and you’ve been putting off the decision, don’t wait any longer! Just because you’re a hardworking mother does not mean you shouldn’t do things for yourself. Our team at Milnor Orthodontics is here to help! Taking care of yourself, including your smile, will give your self-esteem a boost. Also, orthodontic treatment is often necessary to maintain good oral health, and delaying it can make the issue worse. The sooner you get started on your treatment, the sooner you will get the smile of your dreams! Just think, once you get your braces off or finish your Invisalign treatment, you won’t be able to stop smiling. There are not many better feelings than that.